This PDF 1.5 document has been generated by Microsoft® Word 2010, and has been sent on pdf-archive.com on 18/09/2015 at 11:00, from IP address 182.69.x.x. The current document download page has been viewed 650 times. File size: 634 KB (3 pages). body for the remaining life of patient. 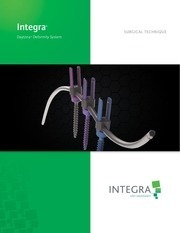 trauma fixation devices, spinal devices, orthopedic accessories, orthopedic braces, and arthroscopic devices. internal fixation devices and shoulder orthopedic external fixation devices. the overall growth of orthopedic devices market. LifeSciences, Aesculap, Inc., and ArthroCare Corporation. business intelligence, and research based consulting services across different industry/business verticals. expansion strategies in different regions. This file has been shared by a user of PDF Archive. Document ID: 00301997.